From Global Gizmos come these fantastic Dancing Water Speakers! 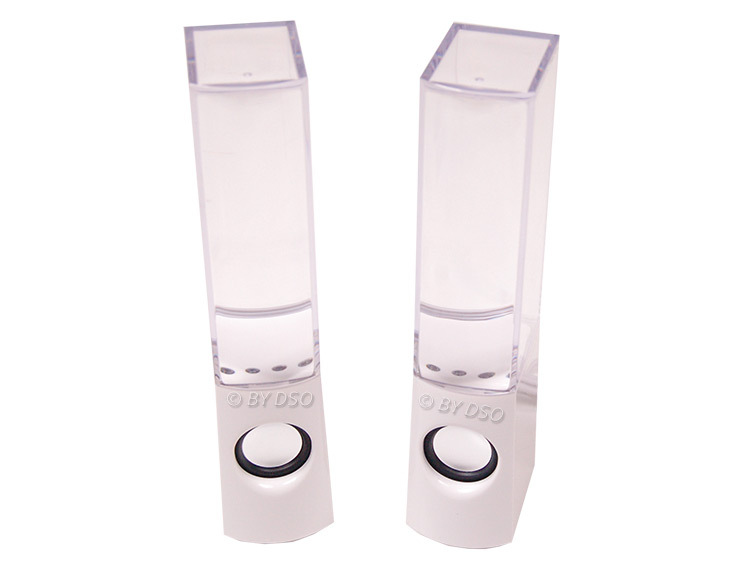 Two clear acrylic 3-watt speakers, including a built in amplifier, make the water dance as the speakers vibrate. The more the bass the more the water dances!. Four LED lights illuminate the dancing water providing a brilliant effect that is sure to catch the eye. The speakers are powered by USB from your device so there is no need to be near a mains socket making the speakers extremely flexible. The speakers can be connected to almost any device provided they have a 3.5mm connection. The 3w speakers are capable of producing great sound as well as looking fantastic making them the perfect set of speakers.